Monday Madness: Gambling…dangerous for your personal property? 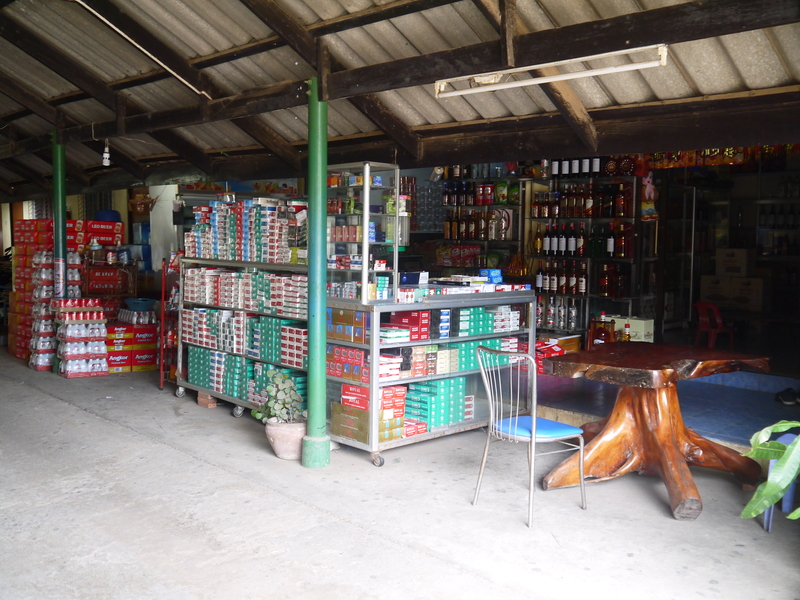 A few weeks ago we headed to the Cambodian border on a visa run. It was a relatively easy process and meant we got to spend an hour or so on the Cambodian side of the border. It was the first time for Kristal seeing duty free shopping at a land border crossing and her first time going into an Asian Casino, although we only went in to have lunch. Local laws mean that it’s common for Thais to pop over the border to Cambodia to visit the casinos. 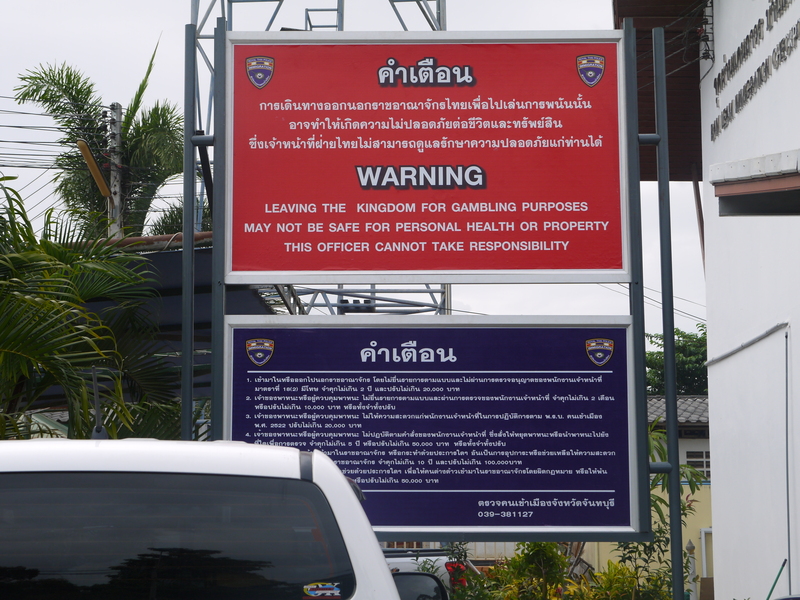 Although the sign at the border may not have been meant this way, it’s nevertheless a good warning that gambling may be dangerous for your personal property. Clearly, the immigration officers aren’t there to complain to if you lose!